In order to produce all softcover jobs in house in the future, OTT, which is based in Wasselonne near Strasbourg in the French region of Alsace, will install a new Pantera perfect binder in a few weeks’ time. OTT, which became France’s first user of a Muller Martini Prima saddle stitcher in 1994, already has a Heidelberg Eurobind 1300 with a 12-station Muller Martini gathering machine, which it uses to perfect bind runs with a maximum of 2,500 to 3,000 copies. However, the average job size of the softcover products printed and bound at OTT, including many high-quality catalogs, is between 5,000 and 6,000 copies, with some jobs even having as many as 15,000 to 20,000 copies. As a result, the company, which was established over 130 years ago and employs 62 people, increasingly had to outsource jobs. In order to keep value creation in house in the future, OTT will commission a new Muller Martini Pantera with a 12-station gathering machine, PUR production and a Granit three-knife trimmer in September to replace its current perfect binder. “We’ll soon be able to produce everything in house, which means not only that we can save on transport costs of outsourced jobs, but also that we’ll no longer be dependent on external partners,” says Production Manager Richard Hamm. 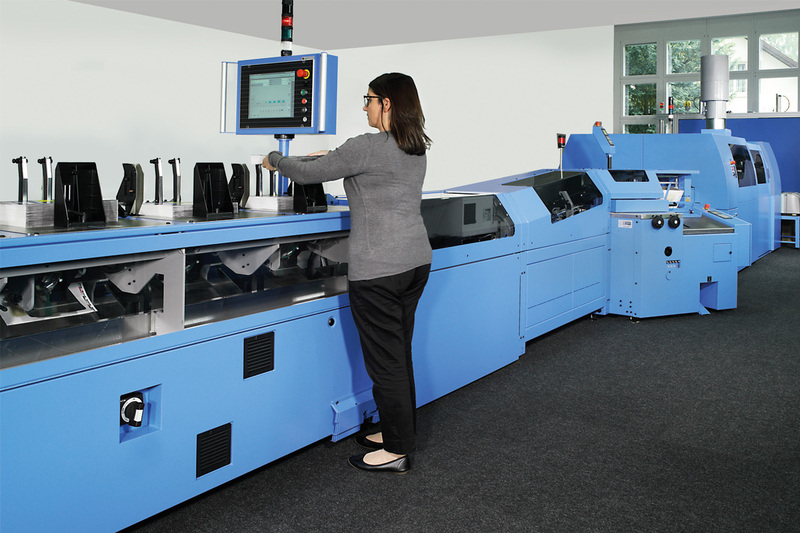 Hamm’s mind was made up not only by the quick setup times of the Pantera, but also the fact that it is digital ready, since the OTT sister operation in Wasselonne employs both offset printing (using three sheet-fed presses) and digital printing (using a Kodak NexPress SE 2500 and a HP Indigo 5500). In digital printing, runs can have just five or ten copies. OTT will therefore be able to feed whole book blocks and individual sheets via the new Pantera feeder. The hybrid design of the Pantera impressed OTT. “The hybrid design of the Pantera impressed us right from the start,” says Hamm, explaining why the well established company decided to invest in the new Muller Martini solution.